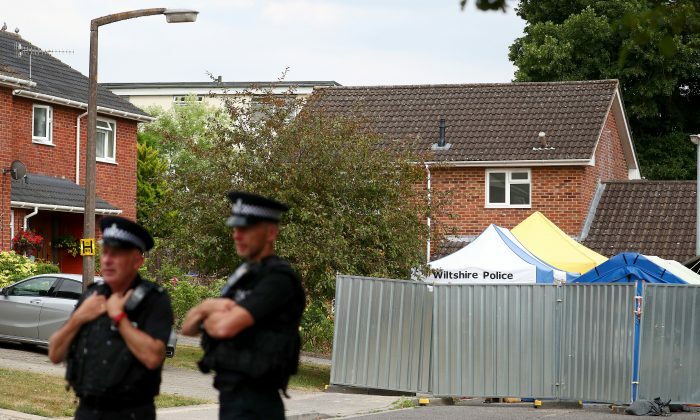 LONDON—Britain is ready to ask Russia to extradite two men it suspects of carrying out a nerve agent attack on a Russian former spy in the English city of Salisbury, the Guardian newspaper reported on Aug. 6, citing government and security sources. Sergei Skripal, a former colonel in Russian military intelligence who betrayed dozens of agents to Britain’s MI6 foreign spy service, and his daughter, Yulia, were found unconscious on a public bench in Salisbury in early March. The extradition request is likely to be rejected by Russia—and risks inflaming diplomatic tensions between London and Moscow, which are the worst since the Cold War.